Follow our home educating journey. Check out how we learn, what we do and where we go for our education. We have just enjoyed Science week, which, to be honest, is not much different to any other week for us. We tend to do a lot of hands on work, as this really helps develop Violets learning and understanding. Violet started her week with a trip to our local library to find some books on science experiments. 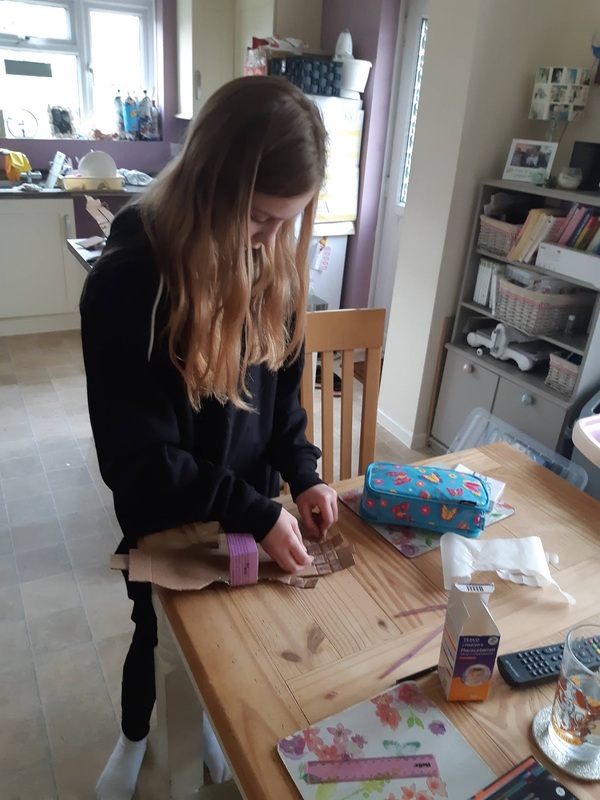 I gave her the choice of which experiments she wanted to do, just for fun instead of for whatever topic we were currently studying. With each experiment we learnt why things happened and how. Science experiments are a bit like magic tricks, you watch with fascination and your inquisitive to find out how it was done. This was a purchase from the works, and it was a very messy experiment. Violet has a fascination with natural disasters and is always keen to learn more. She learnt how quick avalanches can happen and why it can be a real threat to life and property. 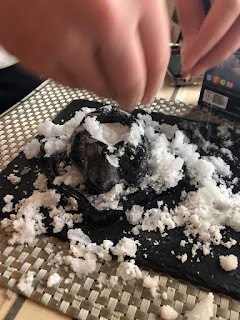 The snow kept building and, although it was a small model, it made her realise the impact this natural disaster can have. This was another purchase from the works, and is something we have had to keep checking over a week. 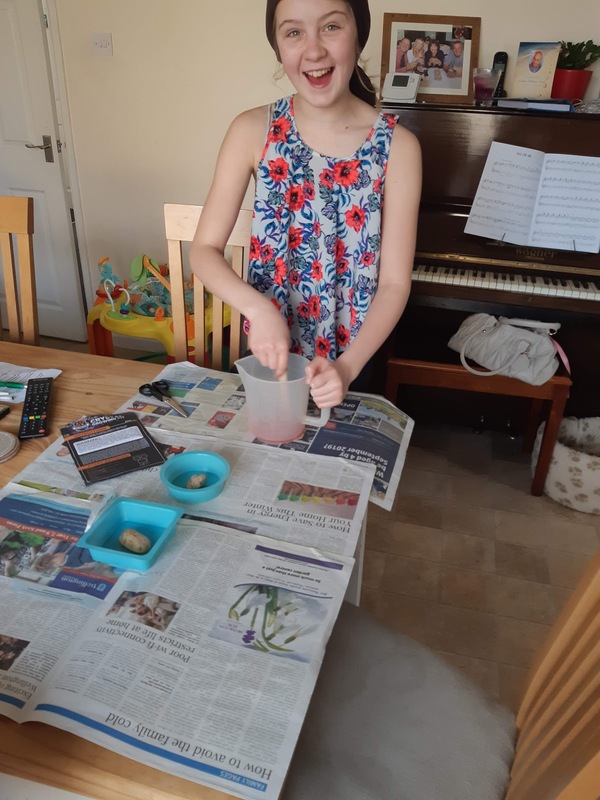 It is a simple kit to use and made two trays of crystals of which both had different results, proving that the shape and size can alter depending on the way the atoms, molecules and ions join together. This is a great experiment that all kids love. 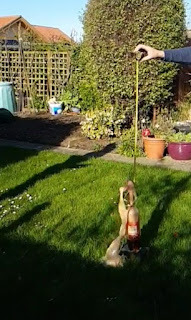 You put a tube of mentos in a bottle of coke and watch it erupt out of the bottle at a huge force. Violet decided to try it with a bottle of lemonade and a bottle of coke to see if the reaction was different. The best reaction came from the bottle of coke, it reached 36 inches in the air. As a parent, it made me think about what fizzy drinks can do to your insides. After watching 'Brain child' on Netflix Violet learnt how to break someone's clenched fists apart with very little effort. She understood how it work and challenged everyone to it. You have to asked someone, preferable bigger and stronger than you, to clench their fists and put one on top of the other in front of themselves. Their strength and force will be on them holding their fists together. You then tell them you will break the fists apart. This will make them try hander at pushing the fists together, because, lets face it, no one wants to lose to a child. You then hit their hands from the side (not very hard) and it breaks them apart. This is because you are putting a force in a different direction to where they are. The harder they press their fists together the easier it is for a force in the opposite direction to break them apart. Give it a go!! 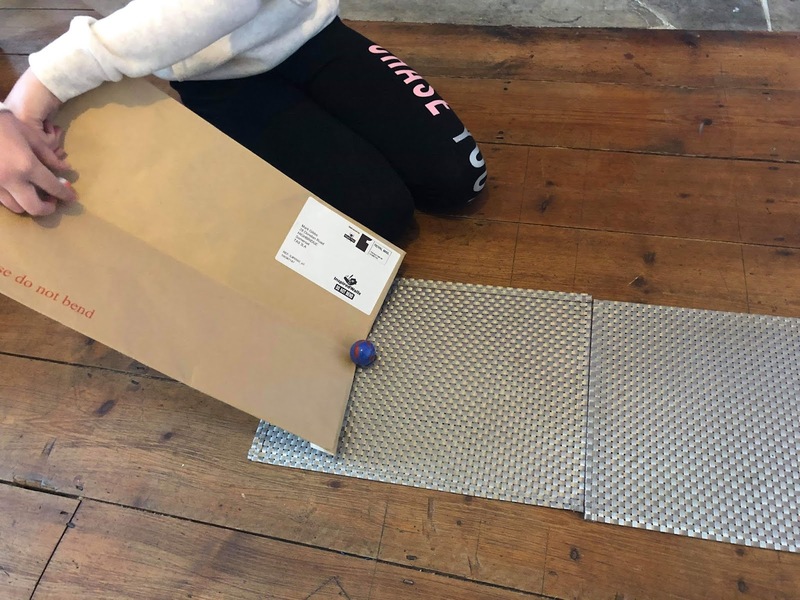 Violet conducted an experiment to see what would make marbles travel furthest down a slooping track. She tilted the track at different angles and changed the material it rolled down onto, such as wooden floor, carpets, etc. the conclusion Violet came to was that the higher the track was tilted and the smoother the surface, the further the marbles travelled. This worked well with the lessons we had learnt at the start of the year about forces, reinforcing her previous learnings. 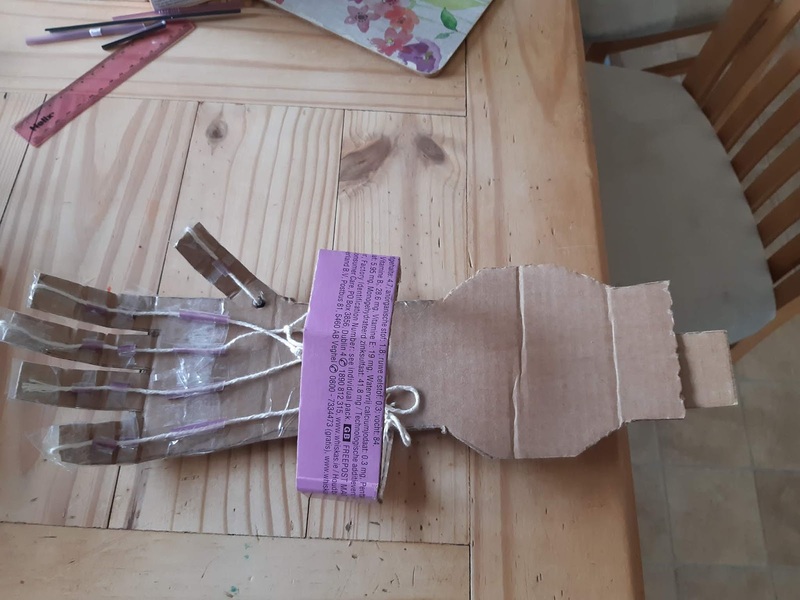 Violet picked up a book about star wars experiments and one of the experiments was to make a mechanical hand. Violet wanted to do all of the experiments in the book but this one seemed doable and we had all the materials in our cupboard. She spent a long time cutting, sticking, taping and threading and created a hand that worked like a puppet. We learnt a lot from this and made a few mistake a long the way and had to make some changes to make it work for us. But this is all part of the learning, staying calm when it doesn't quite go right and working out a solution to be problem. The mechanical hand made her think about how she moves her own fingers, and that a lot more muscles are involved than she realized. We have soo many more experiments that we want to do and we will continue to do them throughout the year, as they are lots of fun for both of us. 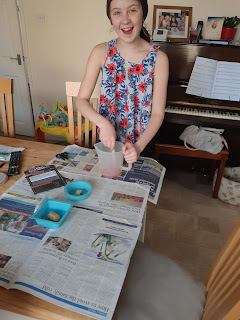 The beauty of home education is that we are able to do the experiments when we like and enjoy playing for as long as we need/want to. We don't have a bell that will tell us we have to stop.